Investing very little time and effort into a blog and expecting big returns. Some business owners think starting a blog will automatically gain them web traffic and increase awareness of their business. While a blog can do that, it takes a lot of time and effort to have a visible effect. To get the most out of your blog you need to post information that your customers will find useful and will assist in gaining their trust. Before starting a blog, figure out what makes you stand out and what of value you really have to offer. In addition you should also determine who your ideal customer is and how to best display information for them. Simply creating a blog and posting randomly about your products or services only will not bring big returns. It needs to be updated on a consistent basis and you need to provide relevant and valuable information. Assuming your social media posts are not reaching anybody. With all the different social media sites it’s easy to get caught up trying to maintain a presence on every one. This could leave you feeling like you’re sending information into a blackhole and your messages will be scattered and inconsistent. Before jumping in blind have a well thought out plan. The first step is stating a measurable goal. Identify specific things you want to accomplish; direct more traffic to your website, expand your email subscription database, or increase sales. Next figure out the best way to reach your audience. Joining industry groups, commenting on similar blogs, and participating in discussions on a variety of sites are simple ways to improve your visibility and helps with learning about your audience. Lastly, you need to a way to measure the success of your efforts. Most sites provide a way to see who is viewing your posts and how often they are being shared. Some have their own analytic tools that can give more in depth information about your visitors and Google Analytics also provides free access to many tracking and quantifying tools. 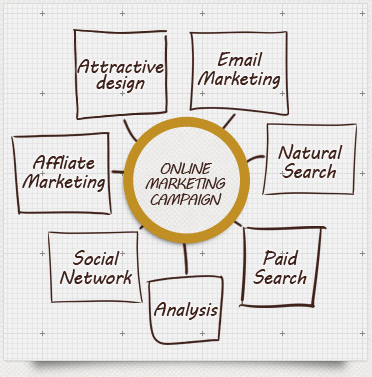 In addition, there are a variety of paid programs and services just for tracking social media marketing. Use these tools to find out what works best for reaching your goals and strategize to get the most out of each site and post. The worst strategy is to post stuff without knowing what the impact is. Gaining a lot of new visitors but no gain in sales. You’ve gained a lot of attention on the web. People are liking and sharing your posts and you may have even become a trusted source of information, but nobody is buying what you’re selling. The key is to make sure there are clear paths to converting visitors into customers. At the end of all posts there should be a call to action. This means there should be a way for people to sign up for your newsletter, purchase products through an online shop or directions to your brick and mortar shop. Optimize each page with a variety of options for people to become more involved with your business instead of simply using you as a source of information. In addition incentive programs for customers that follow your calls to action can be a great motivator.